Why am I reviewing a camera that is 3 years old using a sensor that is 6 years old? For one, the camera still demands over three thousand U.S. dollars used and comes in at just under $5k brand new. The M-E is still synonymous with street photography in some circles, many Leica fans believing it is one of the best street photography cameras money can buy even today. And finally, I only review cameras that I would want to or do use… If you read my article on how long it takes to focus a Leica quickly and accurately you’ll see that I think everyone should get the chance to shoot with one, it’s truly a gratifying experience. For this review I will focus on image quality (including low light capabilities) and practicality. I’ll also touch on build quality but I won’t spend a lot of time here because, well, Leica cameras set the bar for quality when it comes to building a camera. If you have considered picking up a used or M9/M-E or new M-E then you may want to read this article first. In good light the camera excels… Much like an iPhone. The M9/M-E captures stunning photographs… In the right light. 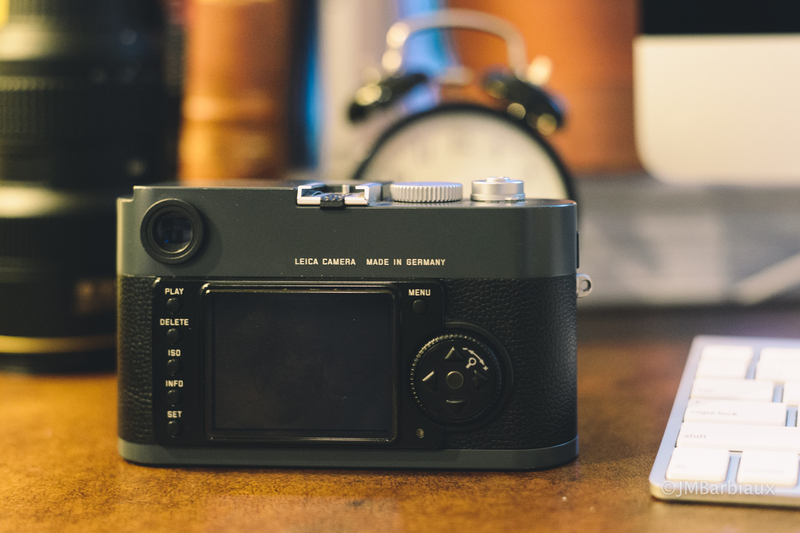 One of the reasons so many Leica photographers stick with the older cameras like the M9 is because it used the CCD sensor, Leica has since switched to CMOS sensors for things like Live View and higher ISO performance. Leica users will argue that the CCD sensors retained a very film like look to them and I would concur. However, since VSCO film packs came onto the scene the fact that the CCD sensor looks filmish is a moot point. The VSCO looks better and I found myself using it on my Leica files to get an even more film like result. It’s possible to use up to ISO 1600 but you’ll have to nail perfect exposure or settle for underexposed shadows… Trying to recover the shadow areas will introduce gnarly color noise. 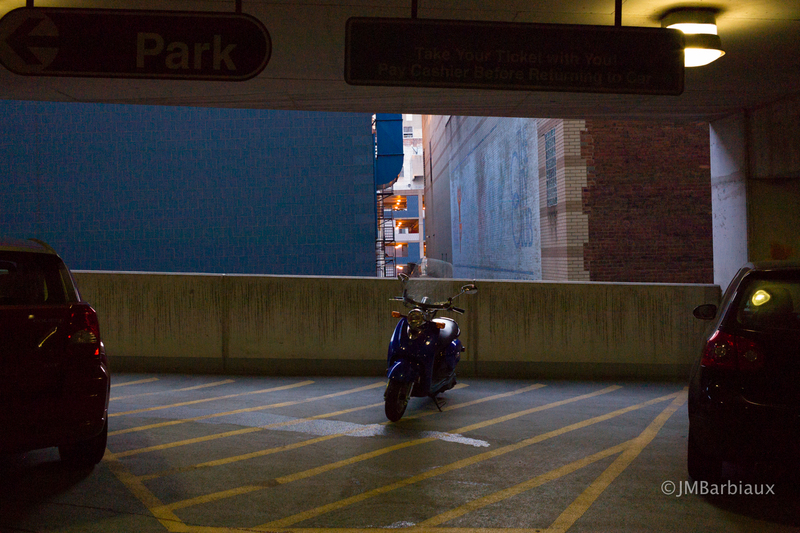 I would be remiss to not talk about dynamic range and high iso (or low light) capabilities, they are terrible. I’m not going to mince words here, you can find this info on any Leica forum and they all say the same thing; the camera is a flop in low light. This is truly a shame because if you are an avid street photographer you’ll know that ISO 6400 is a welcome asset of many newer cameras (even APS-C sized sensor cameras like the X100T). There are tricks to using cameras with crappy low light capabilities in low light… For instance, I used the light from the headlights of a passing car to illuminate this shot and control noise. What I didn’t expect to find was that at an average ISO of 2500 the shadows looked as if confetti exploded in them when you tried to recover even a small percent of underexposed areas using the latest version of Lightroom, the software that comes with the camera. Perhaps this was acceptable in 2009, probably not in 2012, and absolutely not in 2015. Now, some street photographers are saying that constraints like this are good for the creative process but if you ask me, I’d rather not shoot myself in the foot just to get good at using crutches. ISO 2500 with 50% shadow recovery. * I generally use VSCO film packs for processing with the film look which negates the need for a camera with “film like” natural files. You can squeeze semi-usable shots from the camera at ISO 2500 but don’t zoom in or blow the image up too large or you’ll notice some funky noise and muted colors. For street photography I would have to politely disagree with everyone and their Leica owning brothers that this camera is a good street photography camera. I would buy 5 Fujifilm X100T every day of the week before I would shell out even $600 for the Leica M9/M-E.
Let me put it to you this way, you’ll likely never hear someone say they “need” a Leica camera. One doesn’t need a Leica, they want one. With that being said, I still believe everyone should have a chance to shoot with one at least once… there is something truly gratifying about using the Leica rangefinder and manually focusing your masterpiece into existence. For landscape photography I think it’s perfectly usable but easily priced above its league…. way above. The Olympus EM5, EM1, EM5ii, X100T and S, every current Nikon full frame, every current Canon full frame, the Sony A7 series, and probably at least a dozen more cameras out class the Leica on every level. Why spend $3+k for a camera (then another $2k for a decent lens) when you can spend a fraction of that for a camera that will easily eat the Leica’s lunch and use the extra money to travel with your new camera? 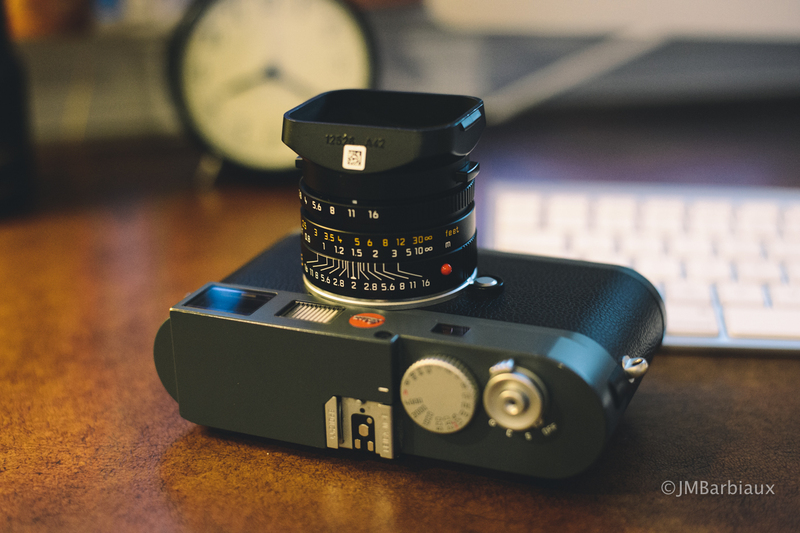 Alright, the Leica M9/M-E is built like a tank… All of the Leica M series cameras are built like tanks. The camera is solid feeling, surprisingly heavy, and a bit bulky. The viewfinder is beautiful, bright, and easy to use. There are a few corrections I would like to see implemented though. 1.) ISO dial would be ideal, digging through a menu to change the ISO is a pain. Sure, you could shoot with auto ISO but it’s not always ideal. 2.) Dial for exposure compensation. Again, digging through a menu is not ideal. 3.) While you’re at it, the bottom door for the battery and SD Card needs a hinge so it doesn’t simply fall away from the camera when you’re out and about. My hands are sometimes full and it would be nice to be able to change the battery with one hand. Leica likes to tout that the camera is super simple and “just get’s out of your way”… What does that even mean? Look, I love the manual focus of the Leica lenses but I’ll be honest… Auto-focus was created to get the camera out of ones way. 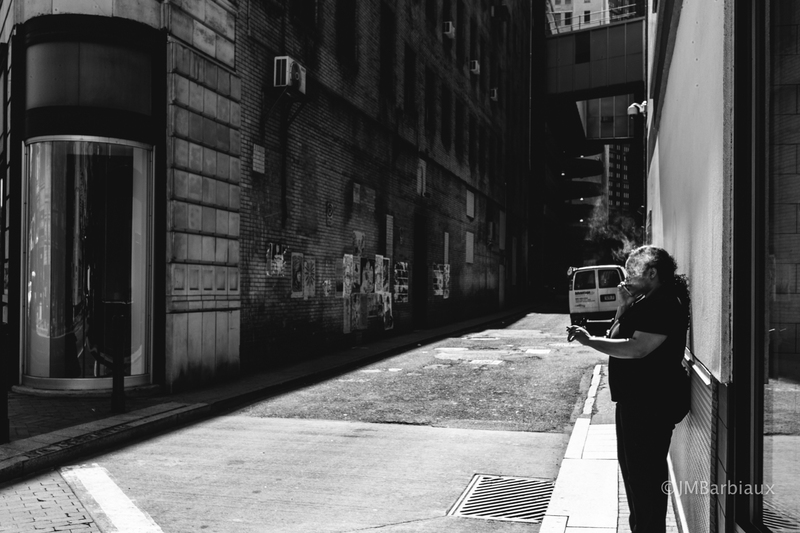 For instance, as I was taking a street portrait of a guy last weekend he was explaining how he built a tattoo gun in prison and I found myself asking him to repeat some things because I had to dig into a menu to adjust the ISO for the alley shadows we had just walked into. It’s not all bad, Leica has one of the most intuitive designs both in physical layout and the software. The menu is incredibly easy to navigate and doesn’t have a ton of folders to dig through to find what you are looking for, everything is right out in the open for ease of use. There aren’t a million buttons all over the camera like on my Nikon or Canon bodies (I’ve yet to meet the photographer that knows what every single button does on their camera). Maybe that is what people mean when they say the camera “just get’s out of your way”… I still think that is a dumb saying, I’ve never used a camera that got out of my way. Perhaps if I could control one with my mind? 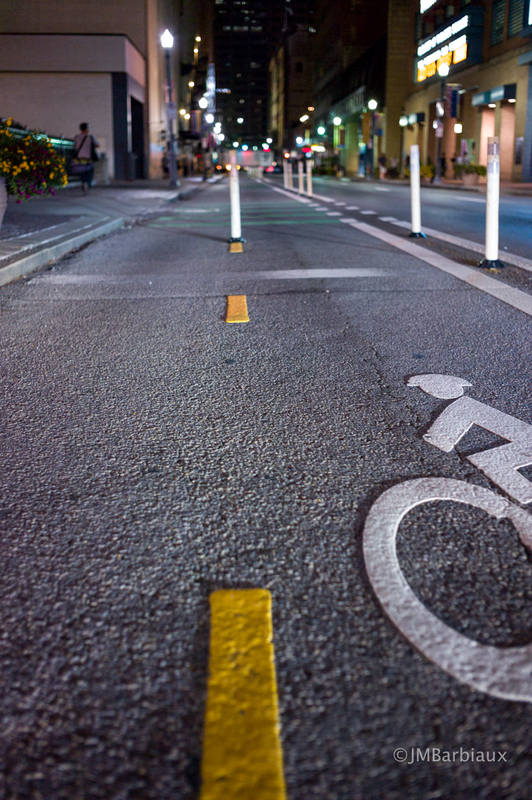 Rant: You know what other saying I hate… “It’s an extension of my hands.” No it’s not. 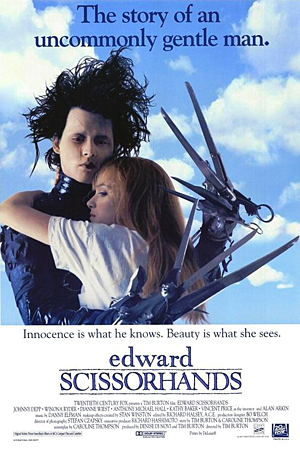 Have you ever seen Edward Scissor hands? Those are extensions of someones hands. Just say it’s fairly simple to use, don’t embellish. Everyone’s taste is different and there are a large majority of people who believe the Leica camera is absolutely beautiful. I don’t. In fact, the first thing my wife said was “that’s ugly”. I don’t think it’s ugly or beautiful… The best I could say is the look is unoffending. 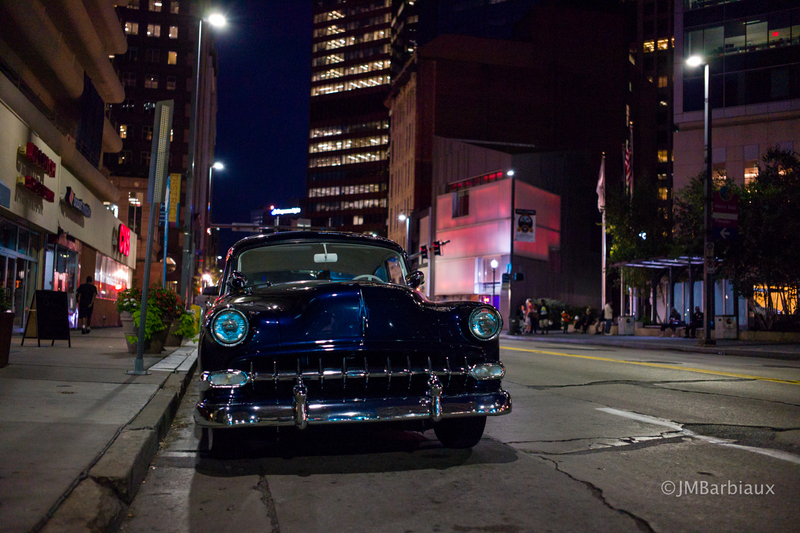 Is the Leica M-E still king of street photography? Hardly. It’s lunch has been eaten by many, many, many other cameras on the market. Dynamic range alone is a deal breaker for me. Unless you plan on shooting in moderate to bright lighting all day, every day, or use a flash, I would opt for a different camera. If you want the flexibility to keep shooting after the sun has dropped in the sky (or in the the shadows cast by large buildings within the city) I would recommend taking a look at the Fujifilm X100T or Nikon Df , the two cameras I use the most. 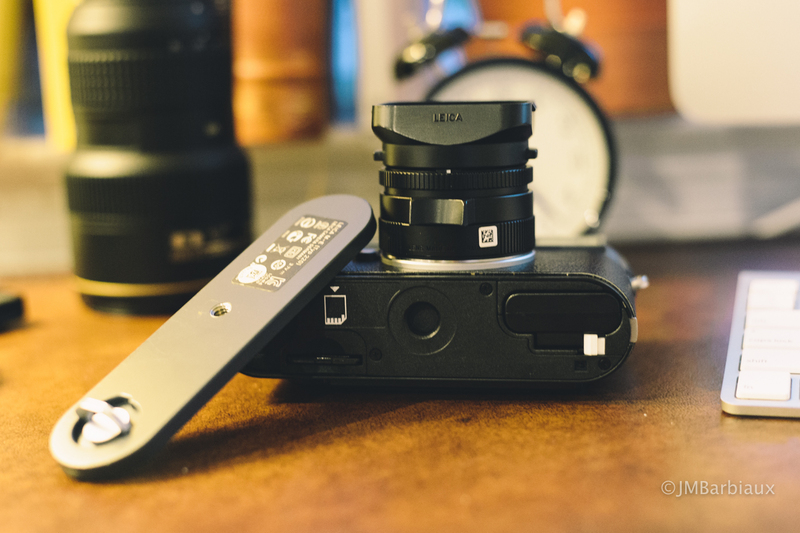 If you’re not the practical type of person then the Leica M9/M-E is for you. If you enjoy overcoming shortcomings (some believe this fuels your creativity) then the M9/M-E is the perfect camera for you. Will you enjoy using the Leica camera? Unequivocally yes. Using the Leica rangefinder is reason enough to buy one (if you have the cash sitting around). Manually focusing your photograph really does make it feel like you have more of a hand in the creation of your image. It makes photography more personal. With that being said, I would highly recommend passing on the Leica M9/M-E and saving up for newer M (type 240) or waiting until the next version of the M comes out (rumor has it that it may be sooner than later). So who is the Leica M9/M-E for? This camera is a great introduction into the Leica M series cameras for a little less than you’d pay for the M (type 240) but I have to be honest… I’d probably save up and buy a used M240 rather than taking the plunge on a camera that you’ll likely outgrow in a years time. Are you a Leica M9/M-E owner? Please, feel free to leave your thoughts in the comments section below. How has the limitations of the camera helped you grow? How have they hindered your growth? 1/10 in practicality? Give me a break. For such a critical score, you don’t really discuss any real reasons why you gave it that score. You somewhat mention price, but that’s more subjective than anything and should be under a “Value” heading, not lumped in with practicality. The fact of the matter is (and you even talk about it in-depth in your linked article) that you can focus very quickly and very reliably with a rangefinder after just a little practice. The camera is discrete, easy to travel with, and very quick to focus with fantastic image quality in most situations. I have owned Fuji cameras (including two different X100 models), and while they are fantastic bang for the buck and full of many features and are a lot of fun… they have their own share of problems, even after major firmware updates. I still find it much faster to reliably focus an M9 than even an X100T. Half the time I focus using the rangefinder patch, the other half I use zone focusing. In either case, I find it extremely practical. I’m not saying you can’t find impractical points about the M9, but it should be about how the screen is so terrible you can only basically use it to check your histogram… or how the battery life is so bad you absolutely must carry extras for a full day of shooting… and they are $129 and take 3 hours to charge. But in any case, a 1/10 is totally unfair and skews the overall score dramatically. I used to own a 4×5 Speedgraphic + Aero Ektar 175mm f/2.4. You want to talk about impractical? The M9 is a pick-up truck or minivan compared to that lumbering single-shot beast. Aside from value needing to be in its own category, other points wound up in places they shouldn’t. The fact that you don’t like the bottom plate design should be under practicality, not build quality. Same goes with the exposure compensation (which you can assign to the rotary dial, thus negating the need to dive into the menu). The only real faults I can find in actual build quality with the M9 are the plastic screen (which should have been real glass or sapphire from the get go), the horribly low resolution LCD, and the notchy shutter release. I appreciate the review, but it seems hastily put together and not edited. It just doesn’t discuss many meaningful topics about the camera. A 2015 review of the M9 should at least talk about the CCD vs CMOS debate and how the M9 has a rabid fanbase for image quality and rendering at mid to low ISOs… or how Leica is replacing corroded sensors free of charge for ALL M9s regardless of ownership or age, thus rebounding and stabilizing prices on the used market. The M9 certainly has its quirks, but it is still a great camera, and not necessarily the inferior choice to a typ 240. Appreciate the feedback, Sean. I’m glad you like your M9. I’m glad you shared your opinion here so other readers can see another point of view. Take care. Also, FYI there is a problem with your website when trying to click a link to the “How to focus a Leica M camera quickly” article. The colon in the URL is missing. Thanks for the heads up, it should be up and running now. I like the article because of critical thinking applied. I don’t think what Leica is universal photography tool. And everyone who buys Leica with idea what it is camera of highest quality because of its high price is making mistake. 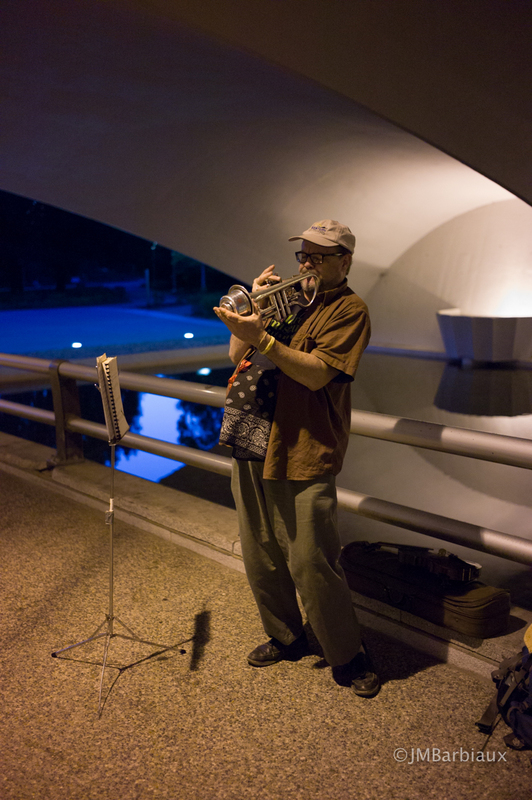 Leica M9/p/e is for those who can’t do without rangefinder, Not Fuji fake, but true rangefinder. Usually those people are with Leica M film camera experience. And handling of M9/p/e is same as film M Leica cameras. Aperture, shutter speed and ISO. This is it. All you need to know with film M and same you need to know with digital M.
Generally any gear review is relatively based on one’s usage and personal perspective. I am one of those Leica owning folks who has been shooting with M8 & M-E since 2010. I believe ‘Practicality’ rating depends on the gear you are most familiar with. E.g. to me, any full frame system with 50/1.4 ASPH lens that is heavier than Leica M-E would not be very practical as I love to travel light without carrying a camera backpack. I used to shoot M4/3 and other stuff with autofocus but later found it bothering so later I seeked for a system with manual focus. Perhaps to be more fair, ‘handling’ score should be included in the overall rating since many people (myself included) would prioritize this over other specification. Probably more to do with the emotional perspective when holding a camera. I always look for an alternative to the pricey red dot, but has not yet to find one. The bottom line is that Leica M system (generally speaking) is not for everyone (regardless of price); and perhaps not intended to pack the most intriguing technology in the market. One needs to learn the basic of photography, how to deal with limitation and be rewarded with a fine result. Whether it is the best tool for street photography or not, that depends on you. As a long time user of Leica rangefinders, screwmount and M’s I know they are not a camera system for every kind of photography but used for the photography most owners use them for they are outstanding. I can’t understand why you have written a review of these cameras as you obviously don’t seem to appreciate how great they are at producing amazing images. Thank you for the feedback! Contrary to your last sentence I actually use a Leica as my primary camera. I own and use the Leica M262, M7, and the M10 (review of M10 coming soon on PhotolisticLife.com). I use these cameras professionally, you can see my portfolio over at PhotolisticLife.com. 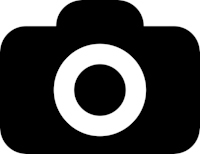 If you visit PhotolisticLife and search Leica you can find many of my reviews and work I’ve done on their cameras… Some positive and some not. I stand by my review of the Leica M-E. Though, I am sorry my review left you perplexed.